It isn’t easy to get the lowdown on living in a mountain town of 300 people. 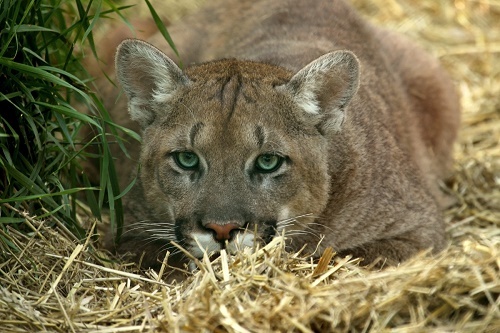 There’s no website to educate yourself about hiking with the risk of mountain lions. There is no newspaper, community center, grocery store or library. The only gathering place I’ve found is the local gas station which has a small pizzeria in the back. I make it a point to stop in for a cup of coffee now and then just to see what’s going on. Me and Jim, the owner, aren’t exactly friends but he’s been kind enough to help me get acclimated with life in this wilderness. A retired Navy veteran, he keeps the place immaculately clean, with a neatness he must have learned in the military. The road he’s talking about has a county road number but I call it Dead Elk Road because I’ve seen at least a half-dozen of them dead and in various states of decay since I found the road last spring. I’ve also seen mountain lion tracks many times when I’m hiking so I know they’re there, but from what I’ve seen of the dead elk, it’s not the mountain lions who are causing their demise. Besides, mountain lions rarely attack humans. “I always have my hiking sticks with me,” I replied. “I’m not really too afraid of anything, but if I bump into a rattlesnake on the trail I could use them to knock it back.” I was a veteran of several rattlesnake sightings now and rather pleased that I didn’t freak out. I was feeling a little more like a local. He went on to add that another woman was taking a walk nearby at dusk and looked up to find a mountain lion tracking her in the trees along the road. No one is sure if it was stalking her or protecting something it was eating. She made it home fine after calling her husband to come and pick her up. Another guy comes into the gas station and starts listening in on our conversation. I think he’s also a retired Navy veteran and a friend of Jim’s. He’s in his 70s, fit and neat, with anchor tattoos on his forearms and smooth silver hair combed back like Johnny Cash. He turns and nods at the owner, who is now also giving me a solemn look. I still think they’re having fun with me. I look back at him. “Are you carrying?” I ask. I look at the owner. “I’ve got a 9 mm right here,” he says, pulling it out from the shelf below the cash register. He’s got an ankle holster too. We chat a bit more and then the ex-Navy guy turns back to me, says, “I’m Richard. Welcome to High Rolls. It’s been a pleasure to meet you. You be safe now, and if you need help, you just let us know. Just quit hiking in the woods without protection.” He left to join his wife in the pizzeria part of the station. I think they were being sincere. Kindness comes to us in all shapes and forms, and these men were going out on a limb to be helpful to a stranger. I know, mountain lions are beautiful but dangerous creatures. But I might still be too scared to carry. That is a classic story! But you may want to take them serious!! My friend from Tombstone always carries. Thank you for reading, much appreciated. I’ll have to call you and learn more…. Paula It sounds like you have some pretty knowledgeable people looking out for you. I think it’s time for you to figure out which gun works best for you and start carrying all the time. We don’t want anything to get you!